Born into slavery around 1821 in Petersburg, Virginia, Lilly Ann Granderson secretly learned to read and write from her master's children. Lilly Ann read everything she could get her hands on, and through newspapers, she learned of places in the North where slavery had been abolished. She longed to have that freedom too. As Lilly Ann's reading and writing skills improved, she shared her knowledge with others by starting a school. After toiling for their masters all day, Lilly Ann's students would slip nervously into the night to attend her "midnight" school. Every noise reminded them of the painful punishment they faced if they were found out. But the students were willing to risk any danger for the chance at an education. Over the years, hundreds of enslaved men and women learned to read and write under their teacher's patient guidance. Midnight Teacher is an inspiring testament to an amazing instructor and pioneer in education. Lilly Ann Granderson's steadfast courage in the face of adversity provides an inspiring model for all who attempt to overcome seemingly insurmountable challenges. 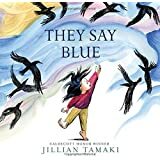 Janet Halfmannis the author of more than thirty books for children, including several nonfiction and natural science titles. When she's not writing, Halfmann enjoys working in the garden, exploring nature, visiting new places, especially wildlife areas and living-history museums, and watching movies. Halfmann lives with her husband in South Milwaukee, Wisconsin. 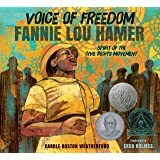 Students usually read about the most famous African American people who have stood up for equality over the years. 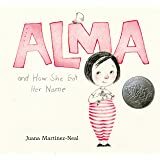 This story, however, depicts an "unknown" African American woman who was born into slavery and denied the gifts of reading and writing until, under her first master, his children taught Lilly Ann to read and write. Lilly Ann was a "remarkable" woman who, in a secret cabin, taught hundreds of enslaved people to read and write. She took a huge risk to educate so many, year after year... Lilly Ann Granderson was, and still is, an inspiration to all! She followed her dream for the benefit of others... Janet Halfmann wrote a beautiful piece of history with this story! I had never heard of Lilly Ann Gunderson, but author Janet Halfmann makes her come alive. A brave and courageous woman who taught herself to read, and then, under cover of night, while fearing for her life, taught other enslaved people to read. The illustrations by London Ladd perfectly complement this fascinating story. A lovely book about a fantastic woman.Everyone should read it. Pictures are great and colorful will use it in my classroom. Researching to see if we are from the same family. Will be attending the Natchez Teaching in the cemetery...yep cemetery. 5.0 out of 5 starsA story worth reading- and sharing! 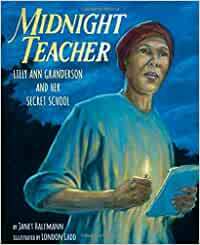 Midnight Teacher: Lilly Ann Granderson and Her Secret School is an intense and moving biography of a remarkable woman. I won't give away the intriguing details, but at each turn in her enslaved life, she found ways to sustain herself and improve herself, then she lifted the lives of others by teaching. Rare circumstances allowed her to learn to read, and read well, at a very young age. She read everything she could get her hands on, including discarded newspapers that revealed a potential path to freedom in the North. She realized as a child and throughout her life that education was the key to FREEDOM. The enslaved people surrounding her understood this, too. The power-based reasons for prohibiting the teaching of slaves is explained simply and well in the book. Even as a child, she confronted the serious risks of teaching other enslaved children, sneaking off with them to share the keys to literacy, and they welcomed Lilly Ann's brave efforts. Lilly Ann continued her calling to teach despite numerous changes, including being sold from border state Kentucky to deep-south Natchez, Mississippi. Each scene in this descriptive narrative is accompanied by deep-toned, thought-provoking images. Text and illustration combine to provide readers with remarkable insights into the driving forces that kept Lilly teaching throughout her life, long after the Civil War and slavery ended. The cover image is quite literal, illustrating that Lilly had to sneak through the darkest nights to pursue her goal of teaching others. It is also deeply symbolic, suggesting that education, literacy, and knowledge are the flames of FREEDOM, and not just freedom from enslavement. I believe that Lilly Ann Ganderson would agree that teachers are not simply transferring factoids and details, not meant to measure success in tests or by echoing back simple facts. Teachers are LIGHT BEARERS, providing a beacon, working to open the eyes and guide the way for learners. When one of Lilly's students surprised her by using newly acquired understanding of the alphabet to write FREEDOM, it brought tears to her eyes.